Here is my second Overlay crochet piece. I just made it up as I went along! just stunningly beautiful, just wish i could make one, where are the instructions so we can all make little lovely broaches or pins or pendants or make the overlays with beading, wonderful please post the instructions? This is just freeformed as I went. There are no instructions for this piece. 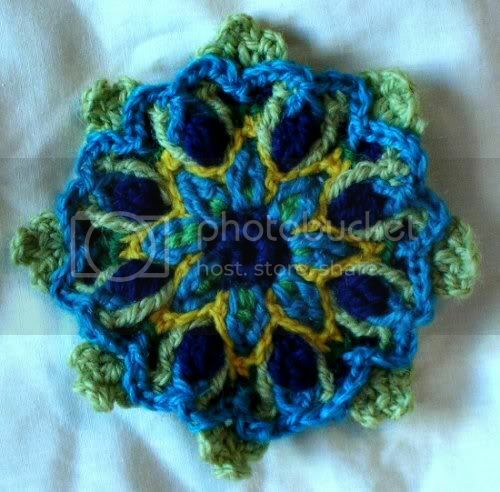 I took a correspondence course on overlay crochet through CNCH with Melody McDuffy.